All of the Experiences That I Have Had as a Member of This Congregation Have Helped Me Become the Person That I Am Today. Although I am relatively new to this church, I already feel like a long-time member because people have been very welcoming. The activities that I have participated in these past months have helped me make some of the closest friends that I have today. From youth-group to the mission trip, I have learned how reliable this church can be in making me feel at home. Every Sunday the lessons we learn at youth group help me walk into the world with a better outlook on life and an awareness of other’s problems, and it’s all because of the amazing members of this congregation. After the youth-group sessions on Sunday mornings, I attend confirmation class where I learn about what it means to be a member of the Episcopal Church. Although it had the potential to be boring, confirmation class is one of the highlights of the week. All four members of our confirmation class have become a close knit family of inside jokes and pop-culture references. This summer, I also went on the mission trip to Rutland, Vermont, where I saw how hard life can be for people, and how I can help them. After the long drive back from Vermont, I was tired and sore, but the group still managed to put a smile on my face that could last for hours. All of the experiences that I have had as a member of this congregation have helped me become the person that I am today. I always try to reciprocate the amount of effort that my friends put into placing a smile on my face. In addition, I am more aware of the injustices in the world, and I am always reminded to try to help people in need. I can’t even begin to tell you how blessed I am. Christ Church Parish of Kensington (CCPK) has played a major part in receiving those blessings. God’s path brought me to CCPK more than 15 years ago as I was looking for another church. Spending a quarter of my adult life in the U.S. Army, didn’t lend itself to settling down and finding a church where I felt at home. That soon changed when I walked through those red doors to our church; I received one of the warmest greetings ever. I knew this was going to be my church! The generous outreach from the Priest, the congregation, the Vestry, every week let me know this is where I belonged. God helped me find my way. 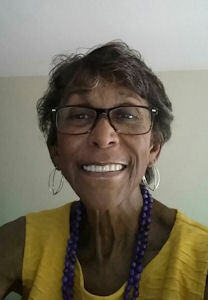 A few years ago, caregiving for my dear mother was a struggle for me, emotionally and physically. Many days and months required measured patience in caring for her, while dealing with my own sense of guilt while trying to work full-time. CCPK had a Caregiver’s group at that time, so I started to attend along with several others in the Parish. What an awesome group of selfless, thoughtful, and compassionate women were in that group! They restored my spirits every time we met and got me through some of the most difficult times in my life. Without reservation, I can sincerely say that through God’s work and steady hands, He provided a way for me to move forward. During the past several years we’ve all experienced changes at CCPK, but one thing has remained constant, that is the love that comes from and generously shared by the parishioners, the Vestry, the staff, Teddy, the choir, and our dear Rector Emily. Pledging and giving now is one small way for me to pay it forward, to give back, to show my deepest appreciation, to want to continue the mission of CCPK for all who walk through the red doors. God bless you all! I am Suzanne Shaw and our family have been members of Christ Church for 18 years. I have sung in the choir for at least 15 of those years, so if, as the saying goes, ” she who sings, prays twice,” then I’ve done quite a bit of bending of the Lord’s ear.I’d like to bend your ear and ask if you have noticed how great our choir is sounding? We are so thrilled to have Dr. Teddy Guerrant as our leader, director and teacher. His attention to detail is incredible, whether it is every Sunday’s anthem supporting the day’s scriptures, as well as his preludes and postludes focusing on one of the morning’s hymn tunes, or working with the choir’s enunciation so the congregation can understand what we are singing. Teddy is truly a Minister with Music. The choir is so pleased to be learning and working and laughing with such an incredibly talented, dedicated, humble musician. We think, we hope you can hear it in our voices.The support of the congregation is what allows the music program to contribute to the spiritual enhancement of worship every Sunday. Your pledges and contributions not only keep the lights on, but also keep the many wonderful programs here going so that we can reach out to a neighborhood, a county, even a world that sorely needs to hear voices raised in praise. Our journey with Christ Church began in fall of 2007 at the newcomer’s get together in the rectory with our oldest daughter, Cecelia, in a car seat. Father Hague was leading our wonderful parish and we instantly felt at home at CCPK. Cecelia is now in 5th grade, Elizabeth is in 2nd grade and we have a number of new faces and friends at CCPK. Throughout the changes, our support for this church has never wavered. We knew that some of the changes would be hard but we are committed to participating in the growth of this parish. Kevin has served on vestry and I have helped with VBS, children’s chapel, outreach events, and coffee hours. The opportunity to build community and shape the parish are the foundation of our stewardship. 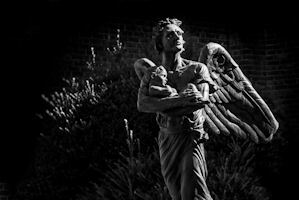 As we move into Fall and “Stewardship Season” at CCPK begins, it is a time for us to review what we have done to participate in the life of the parish and reflect on the ways we can continue to give back. Our pledge is an important part of that contribution. The vestry and the parish as a whole have worked very hard to right size our parish and manage our annual budget. Pledge contributions continue to make up the vast majority of our operating budget. This funding allows us to live out our faith both inside and outside the walls of this building. We hope that you will join us as we reflect on our participation in this wonderful community and pledge to Christ Church. On this first Sunday of our stewardship campaign, I’d like to share my family’s experience of Christ Church. While we have been members for some time, it’s only the past three or four years that we have become “regulars.” This year, however, we came to appreciate even more the importance of our church family! 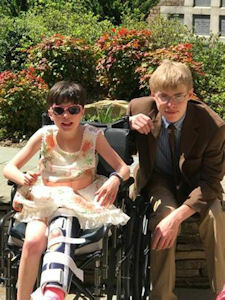 Sydney required surgery in March this year, and then six weeks in a wheelchair, and rehab after. 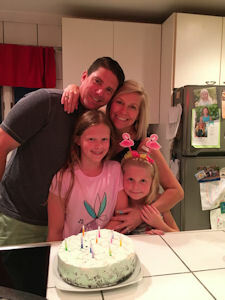 Not an easy request to ask of a nine-year-old with special needs or her family. Quietly, we were terrified, of what could happen, what might, and how we would manage. To say Christ Church rallied around us would be a dramatic understatement. Before Sydney’s surgery, Anne, Emily and Liz presented her with a backpack filled with toys, a camera, and gadgets designed to entertain! Maddie and the youth group provided tremendous support and friendship to Aiden who was dealing with all the chaos and upheaval. Emily provided a quiet office and supportive shoulder when I reached my breaking point. The entire church surrounded Duane and I with concern and affection, offers of help and prayers which were appreciated more than we can express. We experienced aspects of the church many don’t, like how to manage the elevator, after many comical attempts (hint: check the key alignment)! We also witnessed the stunning power of a prayerful community, when Sydney flew through her expected six weeks of rehab in three days! Christ Church supported us through an incredibly trying time, with friendship, prayer and love and we will be forever grateful. · engaging in service with the people of Rutland, Vermont on our mission trip. This year, we were able to send fourteen youth on the mission trip, including a few scholarships. Because of your pledges, each and every young person who had a desire to serve others was included in the trip. And let me tell you, it was worth every penny to see the incredible spiritual and interpersonal growth that occurred over those six days. 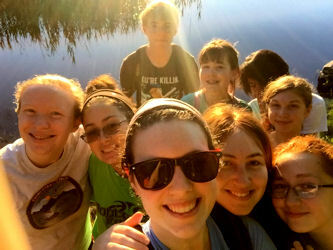 Since I began serving as youth minister last year, I have come to know and love the amazing youth in our congregation. Watching each of them grow in their love for God and each other has been the greatest blessing I have ever known. I hope you have felt the same blessing in your interactions with them, and I hope it inspires you to pledge generously for the coming year. Invest in the future – pledge today! • Donated supplies for the summer camp program at Arcola that hosted 180 low-income children. • Donated children’s books to be given to children to take home. the first two Saturdays of the each month. • Donated over 100 pairs of socks so far to the homeless. • Donated over 20 cases of water for the homeless. • Donated over $1908 to ERD to support their relief efforts throughout the world. • Donated $220.00 to HEIFER for their Pass the Gift Program. • Donated over 60 “Comfort Cases” to children in foster care in Montgomery County. • Opened our doors for a Night of Culture – Kenyan Style where we raised over $2,000 for the Nyumbani Village programs for children and caregivers affected by of Aids in Kenya. • Donated $1,550 to co-sponsor a house with Revere Bank where 30 CCPK volunteers joined volunteers from Revere Bank to renovate the house so it will be a safe and warm place to live. Music in worship speaks to our hearts and helps us to love! When we sing together, we share God’s love in profound ways. Our growing music ministry depends on the generosity of our church family. * Maintaining our instruments is not cheap and we strive to keep our instruments in good working order. At Christ Church we are blessed with three pianos, a harpsichord, and a very high-end Allen electronic organ. The pianos need two tunings annually as well as maintenance from time to time. The harpsichord requires occasional adjustments from a skilled harpsichord technician. The organ, though less expensive to maintain than a pipe organ, still occasionally needs repairs and adjustments. * Our Organist/Choirmaster, Dr. Teddy Guerrant has been a professional church musician for 50 years. He is an experienced accompanist, vocal coach, and pianist-organist-harpsichordist. 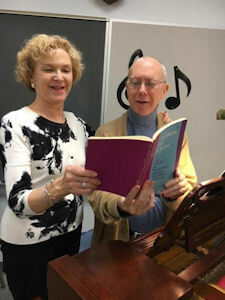 He also teaches in the School of Music at the University of Maryland, College Park, among his several other musical activities in the area. We are so blessed to have him! * We’ve been introducing new music. 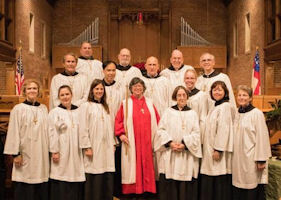 While we still keep our favorite hymns, we know songs and hymns that we didn’t know before, increasing our knowledge of the broad musical tradition of the Episcopal Church. When we know new music – we build our capacity to love! * Music at Christ Church doesn’t involve just singing – if you play an instrument, you are more than welcome to join the music ministry! Our volunteer instrumentalists play for services, children’s chapel, vacation bible school, youth group – you name it! Our Children’s Ministry is where the work of growing God’s church begins! Jesus’ directions to his disciples — “Let the little children come to me…”– inform each of our ministry’s programs: Nursery Care, Children’s Chapel, Sunday School and Vacation Bible School. Our goal is to welcome each child, ever respectful of his or her personal, spiritual and developmental needs, as we learn together how to know, love, and serve God and one another. · On any given Sunday, up to 15 children participate in Children’s Chapel. During this 10 AM Service, children ages 4-10 get to know one another through a gathering activity before worshipping together through prayer, scripture and song? · Our annual Vacation Bible School (VBS) provides outreach to non-parish families, with more than 50% of our registrants coming from our extended neighborhood. · Ten parish adults volunteer to make possible our Children’s Chapel and Sunday School programs. · Eight adults and five youth made VBS a successful program that offered extended-day care to participants. 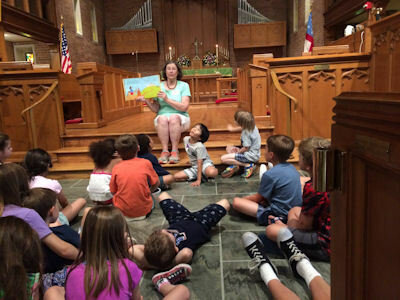 · Our children learn about and take part in parish outreach programs including Episcopal Relief and Development, Bethesda Cares, Arcola service projects, and small projects to serve homebound parishioners. · Our Christmas Pageant and Easter Egg Hunt celebrations welcome all families looking for a church home on these great feasts. · Without your pledge it would be impossible to fulfill our Baptismal promise and nurture children in knowledge and love of God—Creator, Redeemer and Holy Spirit. Will you help Christ Church by making a pledge for 2019? Our building is the center of our ministry. Taking care of our facilities is good stewardship. Luckily, Christ Church has no deferred maintenance or debt against our buildings. Our insurance agent recently named Christ Church in the “top one percent” of well maintained facilities in the Episcopal Church. Keeping up with our property needs helps us avoid major expenses. 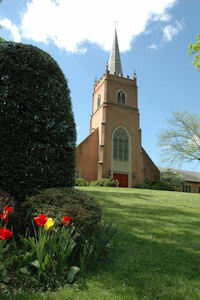 · Christ Church welcomes hundreds of people every week. 12 step groups, worshipers, and the community at large request space in our facility, making our building a vital outreach to the Kensington community. · Most light fixtures in our facility are LED which keeps electric costs down. · Christ Church has a high efficiency boiler which has saved us thousands in gas expenses over recent years. · Renting our rectory to All Saints, Chevy Chase provides support that helps our bottom line. · Without your pledge and volunteer work it would be impossible to keep our buildings in good shape. Will you help Christ Church by making a pledge for 2019?